B-MRS announces new coordinator of the University Chapters (UCs)Program. 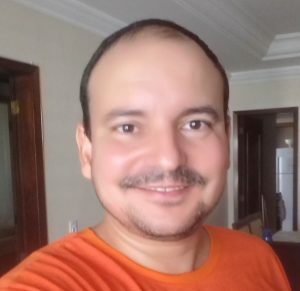 Professor Newton Martins Barbosa Neto of the Brazilian Federal University of Pará (UFPA) is the new coordinator of the University Chapters (UCs) Program of B-MRS. He follows in this role Professor Rodrigo F. Bianchi, who has coordinated the program since its foundation in 2014. The objective of the UCs program is to bring together graduate and undergraduate students in Materials Science and Technology and related areas, and to encourage and support these teams to carry out activities that complement university education, such as the organization of events and interaction with similar groups from Brazil and abroad. Eight units of UCs have been created within B-MRS to date. The board of B-MRS wishes Professor Barbosa Neto a good job and thanks Professor Bianchi for his work. “I believe that assuming the coordination of B-MRS’s University Chapters program (UCs) is a major task. UCs are necessary and strategic bridges between today’s and tomorrow’s materials community as they provide students, in the spirit of learning by doing, the opportunity to evolve through the exchange of experience and discussion of problems related to materials research. Another important aspect of UCs is that they give students the opportunity to develop teamwork skills, which are more than necessary for the leaders of tomorrow, especially in a multidisciplinary area such as materials. It is in this spirit, and with the participation of our community, in Brazil and around the world, that I believe in the development of good work in the coming years that should continue to do what has already been done. These are some of the main challenges we face: 1) Continue with the policy of creating new UCs, 2) Promote increasing interaction, and 3) Effectively organize the fields of action of UCs. The UCs have great action potential in activities such as: scientific dissemination, promotion of events, training of future researchers, among others. All of these things need to be done in an increasingly efficient and synergistic way, drawing the greatest number of results with the least amount of resources available. In other words, we need to do what we already do as materials scientists in our laboratories”.